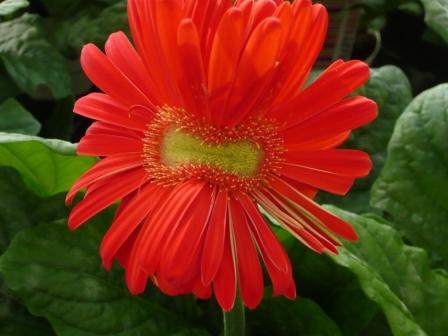 Gerberas often make us smile but this flower is trying to smile for us. Like my jokes it is nothing to laugh at. 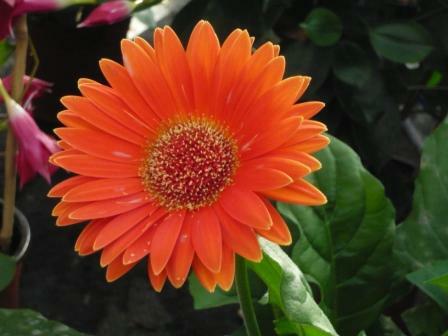 A popular house plant the Gerbera has radiant, single or double flowers. They look like their relatives the daisy family. Best known for the range of strong colours you often see one stem in a vase. 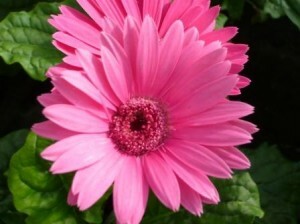 The flowers last well as cut flowers and are a regular feature in florists arrangements. They also make a colour full display on this web page. 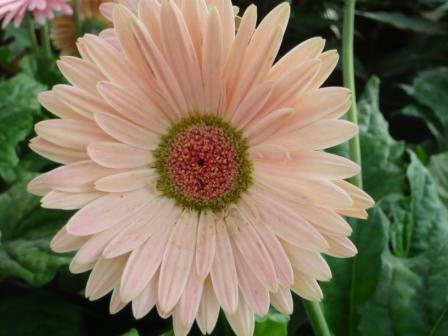 The ray floret petals are a pale salmon with a distinctive and typical centre.